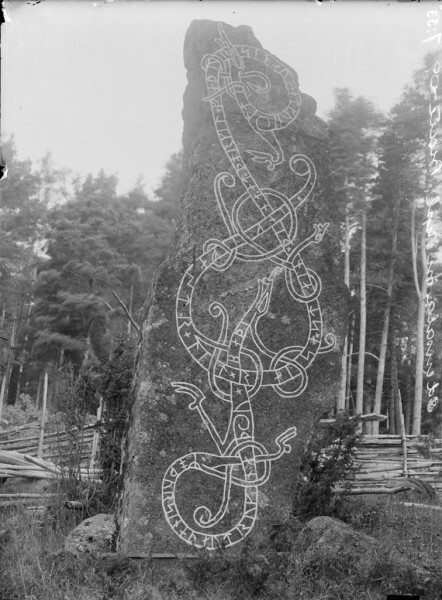 Rune stone (U 455) in Näsby Odensala. The inscription says: “Ingefast had this stone raised in memory of Torkel, his father, and in memory of Gunhild, his mother. They both drowned”.